Ever experienced your mind being read? Join Psychoanalyst Ferenczi and comrades on a journey into the uncanny that transcends the 20th and 21st centuries. In 1933, the writer Hugo Veigelsberg eulogized his dear friend, Hungarian psychoanalyst Sándor Ferenczi, in the Magyar Hirlap, the Budapest daily newspaper. Ferenczi was the leader of a circle of prominent Hungarian intellectuals and artists who gathered in the coffee houses of Budapest to share their work and ideas. His associations extended beyond Budapest to include his mentor, Sigmund Freud, in Vienna. Their correspondence and meetings proved to be a cross-pollination of ideas, and disagreements, during the formative years of psychoanalytic thinking. Veigelsberg’s eulogy was published a few days after Ferenczi’s death and included a description of the two friends sitting in silence, passing scraps of paper to one another in a Sunday ritual of experimental thought transference. Eighty years later, this text captured the imagination of contemporary psychoanalyst Christina Griffin. Griffin’s discovery of this fraternity of regulars occurred during a period of loneliness and disillusionment in her own life. Ferenczi’s social circle called up powerful emotions of longing and intrigue and, most notably, envy. To address the deprivation, she endeavored to learn what she could about Ferenczi’s mind and methods through the eyes of this admirable group of friends. This book is an exercise of semi-speculation in the open style of Ferenczi. The narrator intermingles elements of historical correspondence and imagined reverie of the Hungarian intelligentsia with the author’s own transference, anxieties and desires. 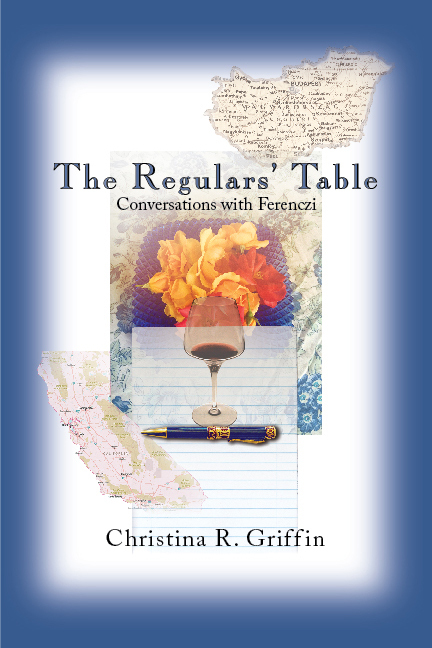 Through study, travel and self-reflection, Griffin takes us on a remarkable journey of place and mind to uncover the untold secrets of the regulars’ table. Christina Griffin is a psychoanalyst and clinical and forensic psychologist practicing in Southern California. She teaches in the Clinical Psychology Program at Pacifica Graduate Institute and is incoming Co-President for The International Forum for Psychoanalytic Education.